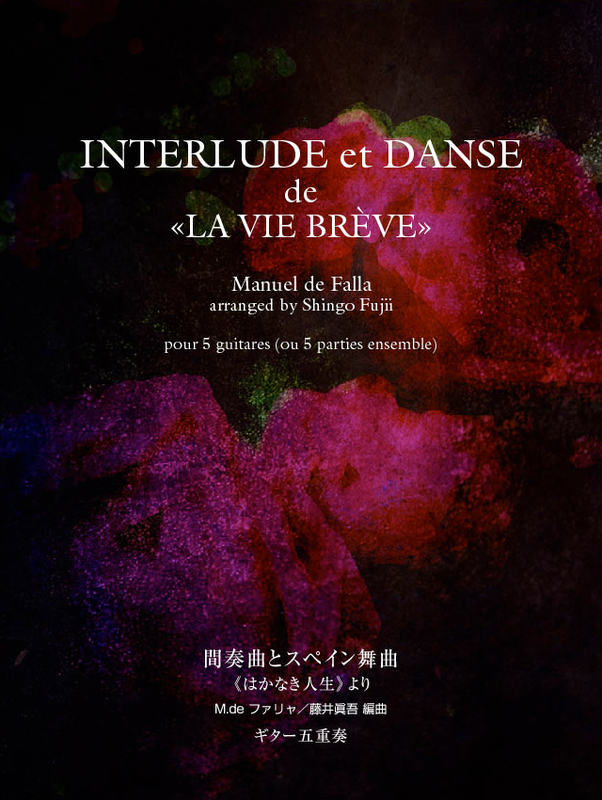 «Interlude et Danse (M.de Falla) » for quintet (or 5 part guitar ensemble) is, finally, became a publication of the Fendai Guitar Edition on this Aug. 20th. I made this arrangement much earlier, in 2001 in order to play with teachers on the Kyusyu Summer Course. This is "arrangement of the whole body", that I was struggling and trying with the brilliant orchestration of Falla, to achieve in the guitar ensemble. 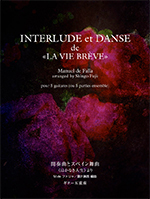 This arrangement already being played by a variety of people not only in Japan, but also abroad, and I hope now to be played by even more people.